Long suffering viewers will know I collect CDs, to the point of hoarding, so I’m always on the lookout for a bargain or seven. I attended work (for only three times this week, thank you peepers), and a colleague, who is also into music informed me that the “That’s Entertainment” store at Dalton Park was closing down. This was good news to me. It meant that they’ll be having a “clearance event”, and getting shot of a load of old stock that they can’t be bothered to ship off to other stores, or back to the magical warehouse, full of whimsy and music. Saturday came around all too quickly, and off I jolly well popped. Usual route to Peterlee, and then I’d get the 22 bus from there to Dalton Park. No dramas. Excfept I found that a rival company had started running a service that goes pretty much directly to Dalton Park, and it stops at the bottom of Mercuryvapour Towers’ leafy driveway, give or take a few hundred metres. So, I could have saved myself the hassle of waiting half an hour for a bus. Anyway, I rattle on enough about buses on Facebook, I’m sure you don’t care on this. Aaaaanyway. Two bus journeys, and I find myself outside of Dalton Park. It’s a weird shaped shopping complex, rather like half a horseshoe, with strange plastic sheeting covering the aisles. You know, the stuff that’s permanent, but goes mouldy really quickly, so looks rotten after a couple of years. I didn’t come here for any other shop other than “That’s Entertainment”, and I skipped on merrily by, as I ignored the rest of the shops.. In the window, there was a sign that said “75% off all replay stock”. Those are the second hand CDs which I was looking for! This could be interesting. 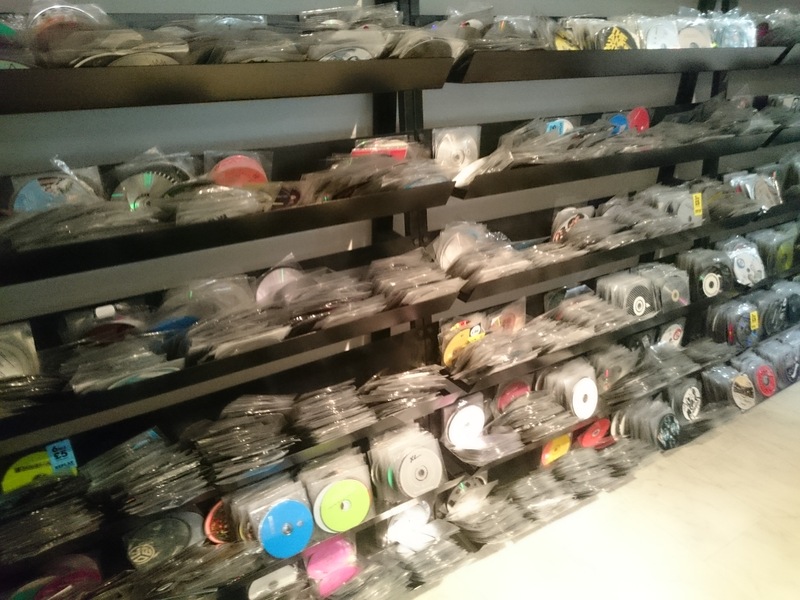 A quick glance around the shop showed that most of the things worth anything (for me, CDs) had already disappeared – either been sold, or sent back to the warehouse. Not sure, but my heart sank a little when I noticed *the* little blue table. This was where the 49p CDs were housed. It was completely empty. Not a disc in sight. Couldn’t help but think my journey was completely wasted. That was, until I took 5 steps forwards, and noticed an almost entire wall, crammed full of 49p CDs. And, not only were there thousands of them, but it turns out they were actually giving them away at 12p each, and multi-disc sets actually counted as one disc. Sometimes, they’re a bit picky about that, but the deal of the collection was 5 Simon + Garfunkel CDs and a DVD for that very price. 2p a disc. Thank you to the totally random guy who tapped me on the shoulder and asked if I’d be interested in it. Yes, sir. Yes, I would. At some point, I’d ventured the shop looking for a shopping basket, as the pile of loose discs I’d picked out was looking pretty precarious. This also meant selecting discs was a lot easier. they’d just get thrown in, and I could sort them out later. After about 2 hours, I gave in. I was in pain from repetitiveness, standing with my head slumped, looking down as my halds flipped quickly through the CDs was starting to give me neck ache. I don’t think I touched half of the stock. Nothing more that could have been done. I did end up with a couple of duffers, namely 2 pirated Now 74 discs, and a Now 31 disk, professionally pirated. Both of which I had anyway, but if I had checked the discs before I took them to the counter, they’d be in a skip right now. The day wasn’t over. [Person who doesn’t like to be named in public] picked me up, and we went through to Newcastle. A walk-around the usual shops, including a check in PC World to see if the hard drive prices had gotten any lower (they hadn’t), and a quick perv in All Saints because some of the ladies in there have really nice bottoms. (Careful, Jamie, some of the girls might be offended by that – Ed). Oh, OK, They ALL have lovely bottoms. The day was nearing an end, and I had one last stop to make. 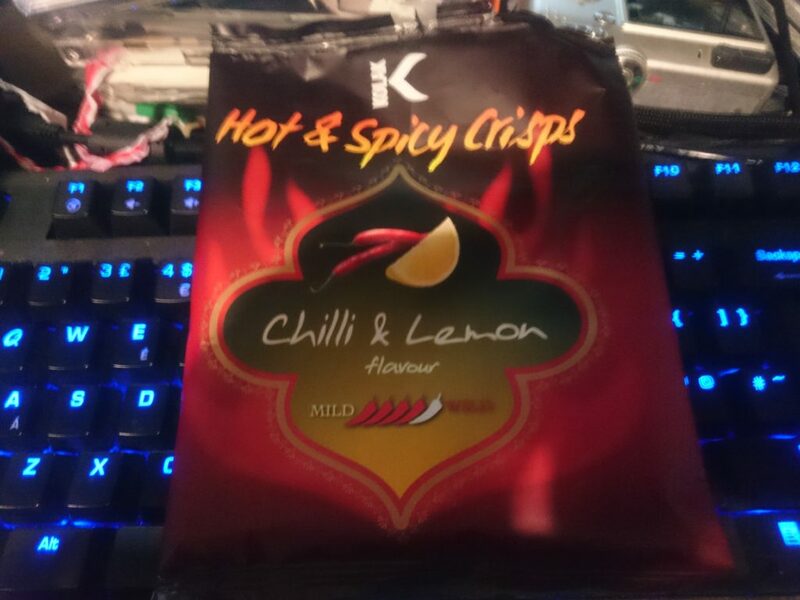 A chain store named “Bargain Buys” sell these really nice crisps. Daddykins also likes these particular crisps, and a multipack of 6 different types are Â£1, so I thought I’d stock up, and get 4 packs. I get to the till, and the guy offers me a 50-pack box of Golden Wonder “snacks” (Cheesy balls, Onion Rings, and Salt ‘n’ Vinegar Sticks) for Â£1 because the expiry date was the day after. Personally, I think they had a little competition between the staff members, as when I agreed to purchase, he seemed overly enthusiastic. Still, crisps don’t go poisonous overnight, and almost a week later, they’re still perfectly edible. This was where I originally was going to conclude the blog, as the bargain hunting was over for the day. I never fully finished writing it, as I got sidetracked by Pinball, or something. 2 sleeps later, Monday arrived. It was an uneventful day at work at Employment Palace. I finished, headed for the bus, and missed it by about a minute. Oh well. Thankfully, this job, unkile my last one, means that if I miss a bus, I can just cut through the shopping centre, and get all number of buses (Three, actually) close to Mercuryvapour Towers. So, I begin to cut through the shopping centre. One of my new haunts is a shop called “ReNew”, which is a bit like “That’s Entertainment”, albeit with less organisation. CDs are placed on the shelf by letter, but it’s a gamble whether the letter is the artist, or the album title. The are also large wooden bins where CDs are just thrown in without order. Everything is Â£2 per disc, or 3 for Â£5. Anyhooooo, this particular Monday, I walked past, and there were balloons outside, and staff holding charity donation buckets. Normally, I’d go in the opposite direction at the site of such a contraption, but I was curious. It turns out they were laving a literal stock clearance, and giving everybody who went in there 10 CDs / DVDs (in total), as long as you put a donation in the bucket. I donated every penny I had on me at the time, and I hope my 65p helps! I get that Father Ted reference. Hurrah! I thought nobody was going to get it! Previous Previous post: Goodbye Micro Mart, I shall remember you fondly. Next Next post: Barnsley. Record buying, broken trees, and broken cars.